The new Nikon D5600 features 24.2 effective megapixels, an EXPEED 4 image-processing engine, and an ISO range of 100-25600 that captures beautiful and vibrant imagery, full HD videos and time-lapse movies even in low light situations. Inspiration also comes easy when you discover new perspectives with the vari-angle LCD monitor and intuitive touch interface with Bluetooth and the Nikon SnapBridge app for automatic transfer of images to your compatible smart devices, the Nikon D5600 is perfect for the connected world. 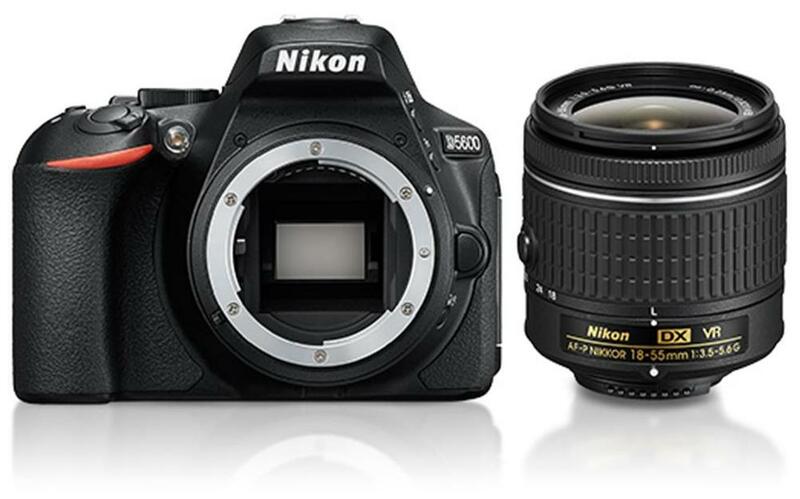 The Nikon D5600 is a new SLR camera from Nikon with an APS-C (“DX”) sensor. The camera looks like a twin of the Nikon D5500 and shares nearly all that camera’s technology. The Nikon D5600 has largely the same body as the D5500. Both models are a good deal smaller than the D5300, which they replace. The camera is amply equipped with setting options and has a great LCD screen that can fold out and turn, and which also functions as a touchscreen. That touch option ensures that the switch from a smartphone to a real camera like the D5600 is not such a big step. The D5600 has the same sensor and auto focus module as the D5500, although according to Nikon there have been small improvements made. What disappears are the infrared sensors for the remote control. That is a logical result of the addition of BLE (Bluetooth Low Energy) and NFC on the D5600. With a free app on your smartphone, instead of an extra IR remote control, you can operate the Nikon D5600 remotely.